1. MySQL Server : Store cacti data. 2. NET-SNMP server - SNMP (Simple Network Management Protocol) is a protocol used for network management. 3. PHP with net-snmp module - Access SNMP data using PHP. 4. 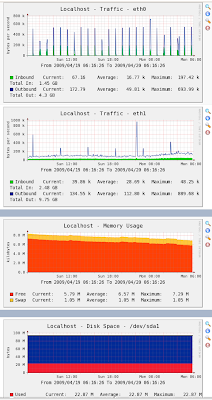 Apache / lighttpd / ngnix webserver : Web server to display graphs created with PHP and RRDTOOL.